Today’s guest blog comes from Major Rebecca “BB” Lange and originally appeared on Huffington Post on November, 10, 2014. 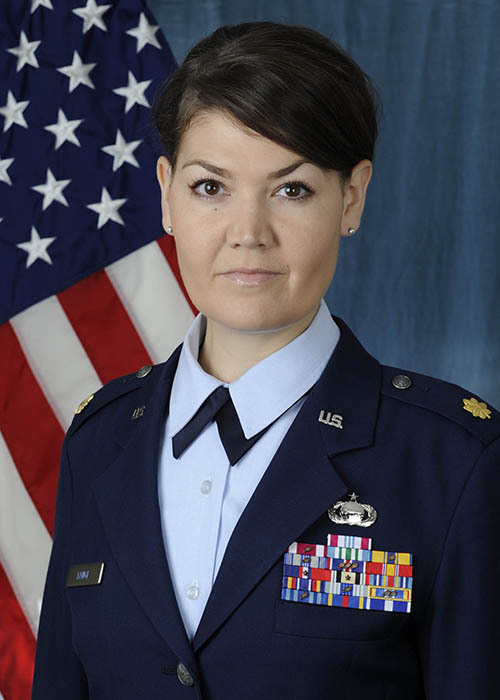 Rebecca serves as the Deputy Legislative Assistant at the Office of the Chairman of the Joint Chiefs of Staff. She began serving as a civilian in 1995 with the AmeriCorps NCCC Denver Campus and has kept serving since. She also sits on the Leadership Council of the Washington, D.C. chapter of AmeriCorps Alums and recently received an AmeriCorps Alums National Leadership Award in recognition of her commitment to a lifetime of service. Sometimes, you need a push. Or a shove. At 17, my parents told me I was on my own to pay for college. Partly because of the expense, partly because they believed I would appreciate a college education more if I earned it. With President Clinton’s 1995 State of the Union Address, I found a way. When I heard the words, “…there are 20,000 Americans… helping people, solving problems and, in the process, earning some money for their education. This is citizenship at its best,” I was sold. I took a leap of faith and signed up for the still-nascent AmeriCorps. I joined other young, idealistic, and eager 18-24 year olds in AmeriCorps National Civilian Conservation Corps (NCCC). We tutored, built trails, painted houses, and supported the 1996 Olympic Games. We made a difference to those around us. And service made a difference for me. I used my AmeriCorps education award to pay my first tuition bill at the University of Colorado. AmeriCorps was also my launching pad to military service. As a student, I became an Air Force ROTC cadet. With the unique privilege of having seen both the military and civilian side of service, here’s what I can tell you: eyes closed, acronyms masked, locations undisclosed … there are far more similarities than differences between military and civilian service. Here’s why: We put service before self. Military and civilian service members take an oath to serve a larger cause. One group pledges to defend the Constitution, the other to strengthen our communities. Our country needs us and equips us to answer its call. Active civilian and military service members are united by a belief that we all have a role to play in our country’s story and welfare. We have a shared sense of responsibility—and the skills to serve as civic leaders. We’re also changed for life. Military service is sometimes more visible, but service of all types has a profound and lasting impact on those who serve. Most Americans understand that those who have worn our uniform are trained to both lead and follow, to problem solve, and are inherently resourceful. But, in the words of General Martin Dempsey, the current Chairman of the Joint Chiefs of Staff and principal military advisor to the President, “Less understood are the ways we continue to serve in our communities when we take off our uniforms… whether at the end of the day, or at the end of our careers.” He’s absolutely right—and championing the similarities between civilian and military service is the perfect place to start. We’re leaving hundreds of thousands of service-oriented Americans without an outlet to serve. This has to change. Not everyone can join the military. Not everyone is interested in joining the military. But I firmly believe that every single American is programmed—we are wired!—to serve our nation in our own unique capacity. I’m proud to live in a country where the demand for service opportunities is so great, but we must support efforts to ensure that all have a chance to serve. Let’s share this story and give more people—military and civilian alike—a chance to leap.